Are you ready to order gourmet cookie gifts for a unique sweet treat? 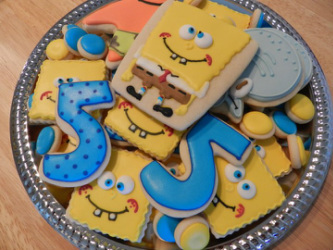 Start your Sweet Genius experience by selecting the occasion or event for which you would like to design cookies. Below are just a few of the hundreds of occasions and events for which our cookies are appropriate. Contact us at ﻿﻿sweetgeniuscookies@gmail.com﻿﻿ with your ideas, questions, or orders. Then sit back and wait for your handmade treats to be delivered. Customize your cookies by identifying the shapes, colors, images, and effects you desire. Sweet Genius has access to hundreds of cutters and is able to create almost any shape and design you can imagine. Don’t see the shape you want? No problem; just let us know what you need and we can make it happen. Determine the number of cookies you would like to order and how you would like them packaged. Sweet Genius offers a variety of options including: cookie trays, individually wrapped with ribbon, customized labels, and much more. Select your Delivery Date and keep in mind that each batch of cookies is made fresh just before an order is to be delivered.